Welcome to RKM Smart Home.​​ We provide home automation products and services featuring Z-Wave; a wireless technology that's simple to use and great value for money.​ We are an official Z-Wave Alliance member and experts in delivering advanced wireless smart home solutions. ​​​​​Shop online or contact us for a no obligation quote and let us turn your home into a smart home today! Thanks to its non-invasive design, Z-Wave eliminates the costs and complexities normally associated with custom home automation systems. With hundreds of interoperable products worldwide and over 10 years in the marketplace, Z-Wave is the most trusted wireless home automation solution. Learn more. A "smart home" is a residence that can provide its occupants with an advanced level of comfort, safety and energy efficiency. Smart homes employ home automation technologies to extend the capabilities of regular household devices, enabling them to be operated automatically and intelligently. Learn more. ​If you're new to home automation, our Z-Wave starter kits are a great way to assist you in choosing the right products for some popular smart home scenarios. Be sure to also check out our FAQ for answers to common questions and for more information on anything you see here, please contact us. Z-Wave is a high range wireless technology that operates through walls and floors. No cables and no fuss. One of the most secure home automation systems available. Z-Wave employs the same level of encryption as online banking. Whether wired or battery operated, all Z-Wave products operate at extremely low power levels and the system is designed to save energy. Z-Wave is cost effective. You can start out small and grow your Z-Wave network over time to suit your budget and needs. With the D.I.Y'er in mind, Z-Wave is the easiest home automation system to install yourself. All Z-Wave products from all manufactures are compatible with one another giving you variety and flexibility. Z-Wave signals are repeated and amplified between devices to ensure reliable transmission. Device and scene activation is instantaneous.  No noticeable lag like with older home automation technologies.